In Los Angeles, San Francisco, and Monterey; included wine tasting. Inside visits as shown in UPPERCASE in the tour description, including admission charges where applicable. Palm Springs, Sedona, Oak Creek Canyon, Grand Canyon National Park, Historic Route 66, Las Vegas, Sierra Nevadas, Yosemite National Park, Sacramento, Golden Gate Bridge, Fisherman’s Wharf, Nob Hill, Monterey, 17-Mile Drive, Carmel, Solvang, and coastal Santa Barbara. Visit hot spots throughout California, Arizona, and Nevada on this Golden West Adventure vacation. Stay overnight in Scottsdale, Flagstaff, Mammoth Lakes (depending on weather), Modesto, Monterey, and Solvang—with two overnights in Los Angeles and three overnights in both Las Vegas and San Francisco. 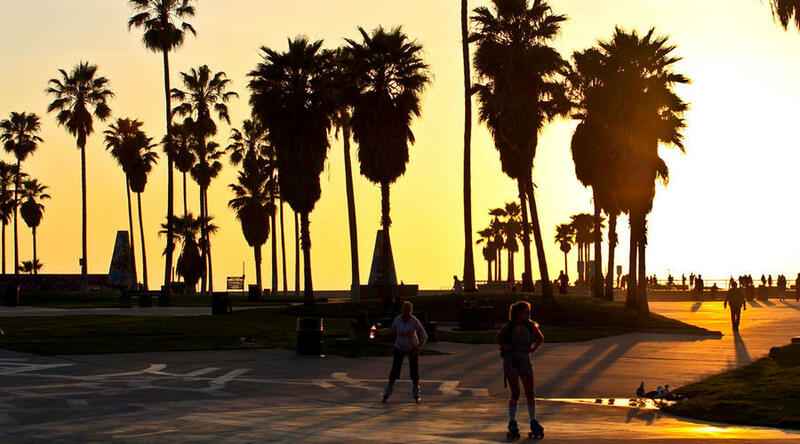 Your trip begins in Los Angeles with a sightseeing tour, including a drive through Hollywood, and a stop in Palm Springs, a desert oasis with 90 golf courses and 5,000 swimming pools. Cross into Arizona and visit Scottsdale and Sedona before arriving at the Grand Canyon. 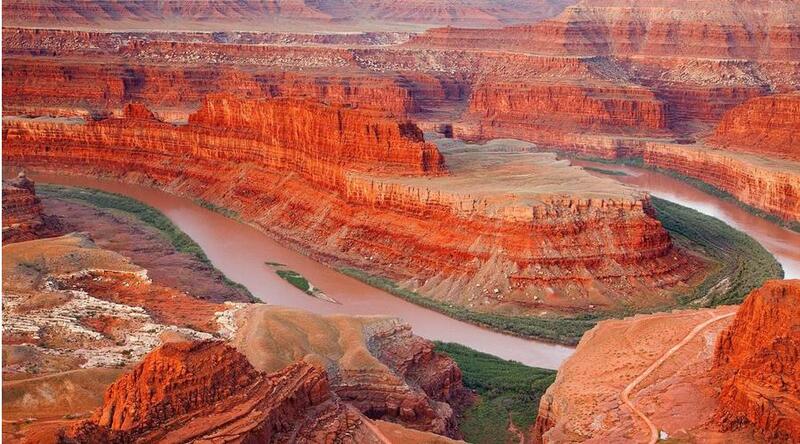 At the Grand Canyon, marvel at the amazing scenery as you stroll the rim. Then leave Arizona and travel part of the legendary Route 66 to glamorous Las Vegas, where you’ll spend three nights experiencing the activities that make Las Vegas famous—swim, sunbathe, gamble, see a show, or take an optional excursion. Cross the desert into California and head to Yosemite National Park, known for its waterfalls, sequoias, lakes, lush forest, giant domes, and mountains rising as much as 4,000 feet above the valley floor. From Yosemite, travel to San Francisco for three overnights and a sightseeing tour of the city plus a visit to Alcatraz, the infamous federal penitentiary. From San Francisco, take an excursion to Sonoma, a picturesque valley known for its wine grapes. At one of the wineries, enjoy a tour and wine tasting. Next: head to Monterey and take the 17-Mile Drive with views of Lone Cypress, Cypress Point, and the world-renowned Pebble Beach Golf Course. Stop in Carmel, the quaint and picturesque village popular with writers, artists, and celebrities. Enjoy time in picturesque Solvang and coastal Santa Barbara before your vacation ends in Los Angeles. On this trip, sit back, relax, and enjoy this tour through California, Arizona, and Nevada. Enjoy time at leisure to relax or to do some independent exploring. Your Tour Director is on hand this evening to answer any questions. LOS ANGELES The L.A. Hotel Downtown (ST). 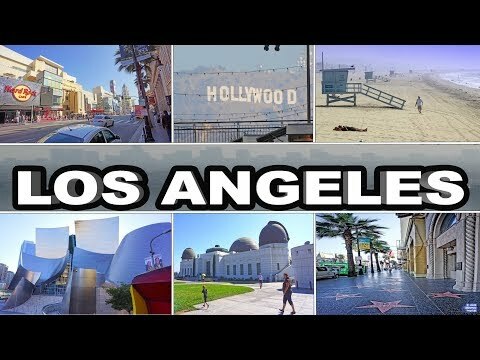 Begin the day with a sightseeing tour of the world’s “Capital of Glamour,” including a drive through Hollywood and the famous TCL Chinese Theatre. The remainder of your day is at leisure, and your Tour Director will have suggestions for your further exploration of the city. Perhaps visit Hollywood again and the Hollywood History Museum, located in the old Max Factor Building. Stroll down Olvera Street, the heart of the original Spanish Mission, or visit the Getty Center with its wonderful art collection. For the evening, plenty of suggestions for dining and shopping will be available. LOS ANGELES The L.A. Hotel Downtown (ST). Day 3 Los Angeles–Palm Springs–Scottsdale. Stop in the desert oasis of Palm Springs with its distinctive wind farms, 5,000 swimming pools, and 90 golf courses! Afterward, we make our way to Scottsdale, where the evening has been set aside for independent time. LOS ANGELES The L.A. Hotel Downtown (ST). Day 4 Scottsdale–Sedona–Grand Canyon National Park–Flagstaff. Your first stop is Sedona, a thriving center for New Age arts set in canyon country. Next, we pass through the weather-sculptured rock formations of stunning Oak Creek Canyon and up onto the Mogollon Rim, passing the San Francisco Peaks and arriving at one of the Natural Wonders of the World—the Grand Canyon. There is time to stroll the canyon rim. For a once-in-a-lifetime experience, take our optional helicopter flightseeing excursion for incomparable views of flame-colored walls plunging 6,000 feet into the Colorado River. Overnight in Flagstaff. SCOTTSDALE Courtyard Scottsdale Old Town (F). Leave the mountain town of Flagstaff on historic Route 66 and cross the old Mojave gold-strike country, which still bears traces of century-old ghost towns set in natural desert beauty. 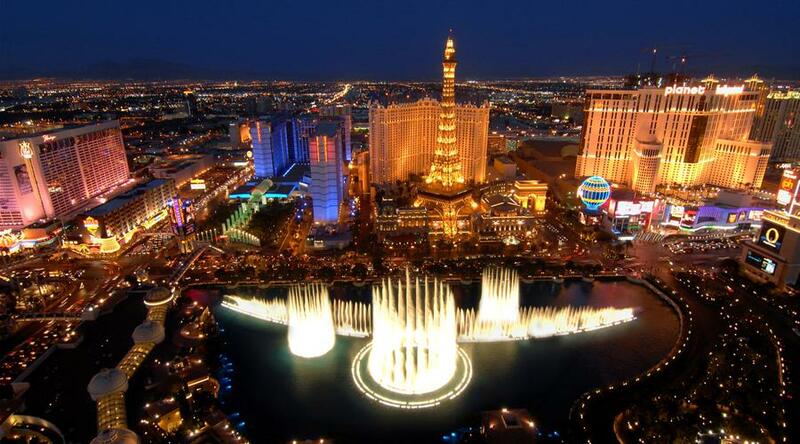 By late afternoon, reach Las Vegas, a fantastic city of feverish gambling, neon lights, and glamorous shows. This evening, enjoy our optional outing to relive the revelry and timeless music of the Rat Pack. Finish the evening with a stop at Glitter Gulch for the “Fremont Street Experience” light show. FLAGSTAFF Days Hotel Flagstaff (MF). The morning and afternoon are free for you to swim and sunbathe at the hotel pool or explore the varied casinos. Try an optional river float trip through the Black Canyon. LAS VEGAS Harrah’s Las Vegas (F). Another full day at leisure. Your Tour Director will have plenty of activities to choose from and will recommend favorite restaurants and shopping areas. LAS VEGAS Harrah’s Las Vegas (F). Day 8 Las Vegas–Mammoth Lakes. A day of striking contrasts as you journey across the desert landscape of Nevada before crossing into California and ascending into the snowcapped Sierra Nevadas. Overnight in Mammoth, a popular alpine resort area surrounded by beauty and majesty—and within easy reach of Yosemite National Park. LAS VEGAS Harrah’s Las Vegas (F). Day 9 Mammoth Lakes–Yosemite National Park–Modesto. Cross high Tioga Pass and enter YOSEMITE NATIONAL PARK, a wonderland of spectacular lakes, cascading waterfalls, lush forests, giant granite domes, pinnacles, and mountains soaring as high as 4,000 feet above the valley floor. Afterward, drive to Modesto. MAMMOTH LAKES Sierra Nevada Resort and Spa (T) / TULARE Best Western Town and Country (ST). This morning we visit Sacramento, California’s historic state capital. Time to visit historic Old Town, the nation’s largest collection of Gold Rush-era buildings. We continue west to the “Golden Gate City” of San Francisco, famous for its cable cars. 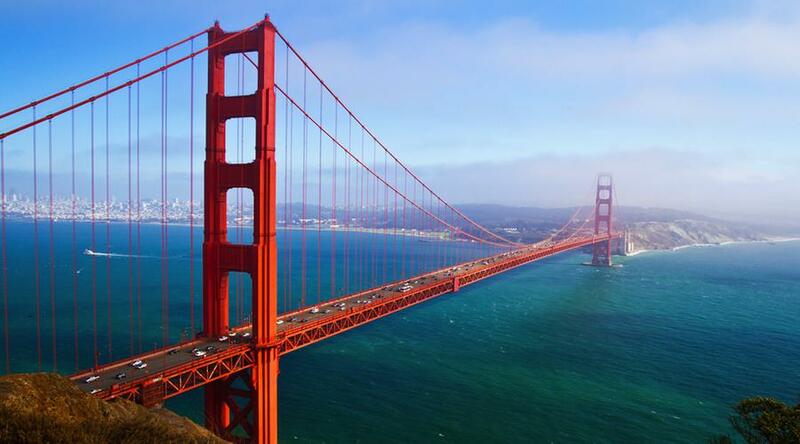 Our included sightseeing tour takes in the spectacular Golden Gate Bridge. (CB) MODESTO Best Western Palm Court Inn (ST). Day 11 San Francisco–Excursion to Wine Country. This morning, cross the famous Golden Gate Bridge to Wine Country for a guided tour and WINE TASTING at one of the many wineries. Next up: Sonoma, a picturesque valley known for its wine grapes. Afterward, visit the pristine waterfront community of Sausalito. Free time to explore this quaint, Mediterranean-style village’s shops, galleries, and breathtaking views. SAN FRANCISCO Holiday Inn Golden Gateway (MF). This morning, visit fascinating ALCATRAZ PRISON. Get a close-up look at the infamous federal penitentiary that was off limits to the public for years. Afterward, the day is yours to explore the “City by the Bay.” Choose from a variety of optional excursions. SAN FRANCISCO Holiday Inn Golden Gateway (MF) SAN FRANCISCO Holiday Inn Golden Gateway (MF). This morning, visit Fisherman’s Wharf in Monterey, known for its historic waterfront, delicious seafood, and unique shopping. Then, visit Cannery Row, made famous by John Steinbeck’s novel. During your free time this afternoon, consider a visit to Monterey Bay Aquarium, known for its interactive exhibits and teeming sea life. SAN FRANCISCO Holiday Inn Golden Gateway (MF). Today takes in spectacular 17-Mile Drive. Watch the waves of the Pacific Ocean en route to Carmel. Situated on Carmel Bay and nestled in a pine forest, the one-square-mile village of Carmel is incredibly dynamic, yet still quaint and picturesque. Afterward, we pick up the Old Spanish Mission Trail to Solvang, where Denmark has been recreated with picturesque buildings and windmills. There’s time to walk the flower-lined village streets and enjoy the quaint “Old World” architecture. Tasty bakery treats and perhaps a Danish smorgasbord for dinner all add to the unique experience of Solvang. (CB) MONTEREY Days Inn Monterey Downtown (ST). Day 15 Solvang–Santa Barbara–Santa Monica–Los Angeles. From Solvang, it’s a short drive south to coastal Santa Barbara. Sightseeing includes a photo stop at the historic mission and a visit to the pier. Once the original Hollywood in the glamorous ‘20s, this is still a favorite to movie producers and home to numerous celebrities. There’s time to wander along the bustling waterfront or do some shopping in some of the most talked about boutiques in downtown Santa Barbara. 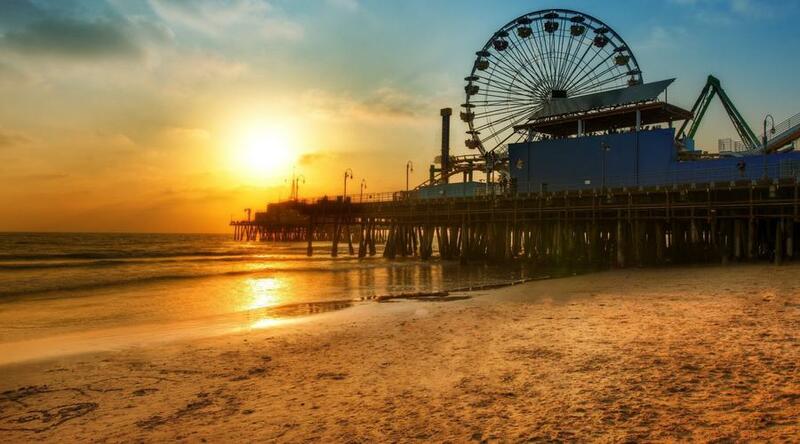 Next, we make our way to the Santa Monica Pier and the ultimate Southern California beach. 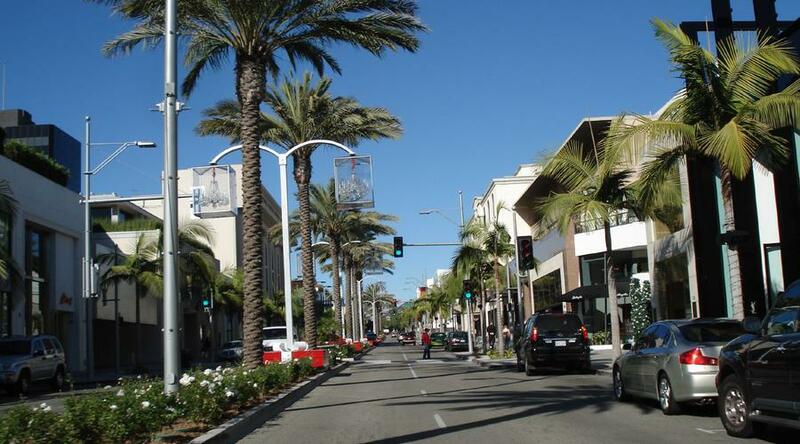 Afterward, head to Los Angeles International Airport for guests with homebound flights. Please schedule flights after 5 pm. (CB) SOLVANG Holiday Inn Express Solvang (ST). * NOTE: Tioga Pass is typically closed from November to the end of May due to snow. When Tioga Pass is closed, this tour is rerouted to overnight in Tulare instead of Mammoth Lakes. Departures from the end of May through mid-October are expected to overnight in Mammoth Lakes; however, weather may affect the routing of tours to Tulare during these times. * NOTE: The National Park Service requires we disclose that the value of the Alcatraz Prison visit is US$30. In Los Angeles, San Francisco, and Monterey; included wine tasting. Inside visits as shown in UPPERCASE in the tour description, including admission charges where applicable., Palm Springs, Sedona, Oak Creek Canyon, Grand Canyon National Park, Historic Route 66, Las Vegas, Sierra Nevadas, Yosemite National Park, Sacramento, Golden Gate Bridge, Fisherman’s Wharf, Nob Hill, Monterey, 17-Mile Drive, Carmel, Solvang, and coastal Santa Barbara., Services of a professional Tour Director.